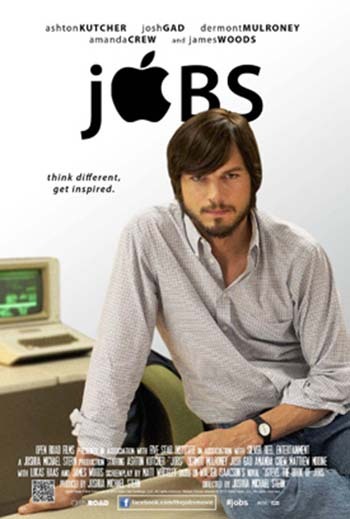 This week at the Teen Choice Awards, popular actor and tech investor Ashton Kutcher (Christopher Ashton Kutcher) described “3 amazing things I learned when I was Chris.” Kutcher plays Steve Jobs in the upcoming film Jobs (opening this week). 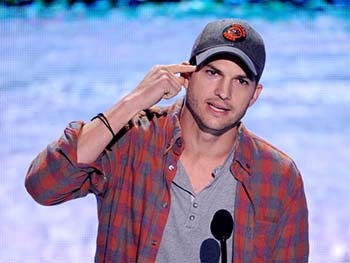 I watched the video of Ashton Kutcher’s short speech last night during dinner. A couple of hours earlier, in the ophthalmologist’s waiting room, Katie Beth showed me an article her boyfriend sent her on her phone. It used the RPF as an example of an organization that recognized the importance of changing language to portray a true message – that Rheumatoid Disease is not a type of arthritis, but a systemic inflammatory disease that can have destructive affects on any part of the body. The whole article is on Cracked.com – click here (profanity warning). It’s a universal truth, but Steve and Ashton said it well. Each one of us does matter and can make a difference. We change the world by living in it. We impact others – and the future – for good or bad. If we see something that is wrong, we can say something or do something about it. We don’t have to just live life inside the world and try not to make too much trouble. We don’t have to sit down and shut up just because others decided long before we were born that saying “rheumatoid arthritis” benefitted their goals. And I don’t feel like it’s my job to convince someone to change. We can build our own thing as Kutcher says. That’s exactly how I see the work of the RPF. It’s the first patient foundation for Rheumatoid Disease, building something new that other people can live in. What a brilliant and thought-provoking article written by KB’s boyfriend. Thanks for sharing! He didn’t write it. He just sent it to her because he noticed the RPF was mentioned. I can see you saying that José and I imagine it’s very powerful. Thanks for sharing this Kelly. Ashton’s words and your own are very inspiring. There is so much to take away from this. Thankyou.